Toy Story That Time Forgot starts out looking a little scary. There is a big battle and there is blood shed. Not exactly what I'd expect from Toy Story. 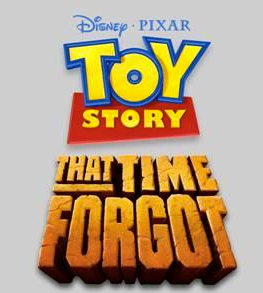 However, I'm not willing to judge Toy Story That Time Forgot by the opening moments in this trailer. What do you think? I am thinking it looks a bit scary for young children but I will wait until I have seen the Christmas special when it airs during the world première on ABC on December 7, 2014 to make my final judgement call. It sure looks like a fabulous piece of 1980s nostalgia! More about Toy Story That Time Forgot.